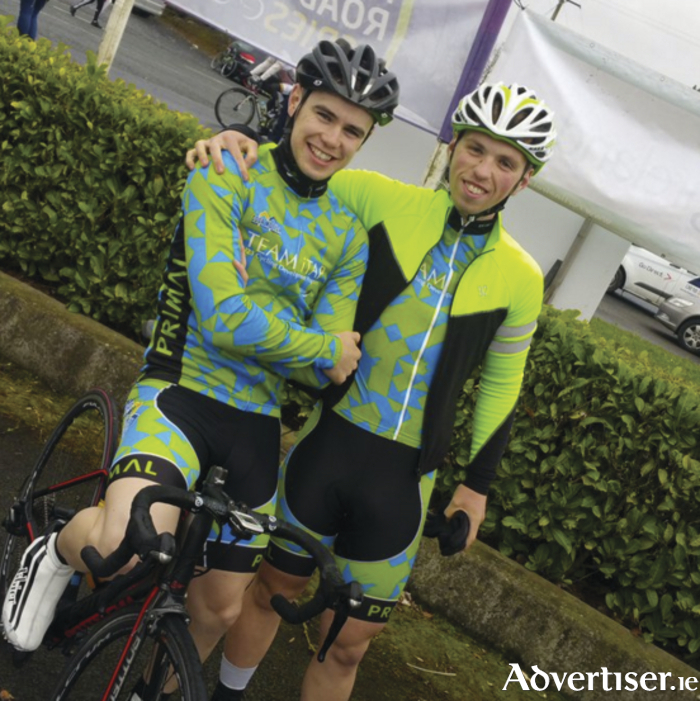 Jason Prendergast, (Louisburgh) and David Brody (Castlebar) from Team Itap, Jason will be keeping us up to date from inside the An Post Rás all week in his diary. In the first of his An Post Rás tour diaries Jason Prendergast from Team iTap brings us into the heart of stage of one of the race. The opening stage of any race is nerve wracking, but the Rás is different. 195 riders took to the start of yesterday's first day of racing in Ireland’s only international cycling race. Every rider has different aims and ambitions and different strengths and weaknesses, and although some riders will be aiming to win, and others aiming to finish, everyone has their heart set on hitting the finishing line in Skerries 8 days from today knowing they gave it their all. The start of todays 146 kilometre trek starting in the glorious backdrop of Dublin Castle, to the mid-country town of Longford was a lumpy affair. The start of the stage was fast and furious with all riders itching to get going in this gruelling eight day battle. A number of riders attacked the field in the early parts of the stage but as the pace was so high, nobody got any real day light. We were hitting speeds of over 60 kmph at times throughout the opening 50 kilometres, but for me, the middle part of the race was comfortable. A group of four visiting riders attacked the field and quickly grew a gap of over four minutes to the peloton. After a while of a slower pace, the Australian and Irish National teams started to chase the four men out front. With 2km to go I could see the quadruplet ahead and I started to positon myself as best as I could for what would be, I thought, a bunch sprint. I got myself up to the front of the field with over 1km to go. The difference with racing these big professional guys from afar, is that they are ruthless. Racing is not just about riding your bike fast. Skill, positioning and pure grit is what get you results, and I lacked one of them today. After weaving my way around and through riders, using my bike and my elbows, I quickly found myself loosing places at as we neared the final 500 meters. I didn’t get up in the sprint, but I took a bit of knowledge from today, which will be valuable for today's 149 kilometres trek back to my mother’s home town of Newport, where there will be a big crowd of family and friends roaring in the Rás riders. The four men out front held on for the stage victory. I sit 30 odd seconds behind today’s winner, Denmark’s Nicolai Nielsen. A big day for the 12 Mayo men that is in this year’s race. Thanks to the efforts of my Itap team mates Daire Feeley and Castlebar man David Brody, and myself we are sitting second in the county team classification, but it’s most definitely nothing for us to be shouting about. Tomorrow we hit Mayo roads, our roads!